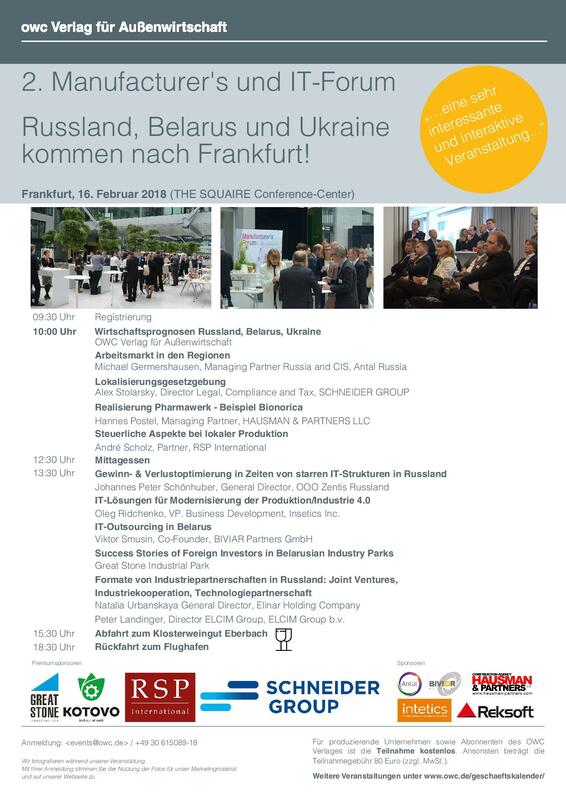 Participation is free for manufacturing companies and subscribers to OstContact. Another highlight: Afterwards we offer the participants a trip to the monastery vineyard Eberbach with guided tour and tasting. Please indicate when registering. It is worth it! The costs for all other participants are only 80 Euro plus VAT.